The Hendo Hoverboard is a revolutionary automobile that is going to hit the market with a storm. The beauty that comes with this product is the fact that it can offer mobile services to its users just like other existing hovering machines. The difference that comes with the Hendo Hoverboard is that it has the capacity of moving while in motion in the air. The gadget is expected to make huge sales because the market is readily available bearing in mind that the youthful population (expected users) are daily increasing in numbers. More so, the technology milestone expected by the market makes the product perfect. The product has the capacity of penetrating into the market despite the increased competition it will be facing mainly form electronic scooters, hovercraft, electric skateboards and hover vehicles. The edge that this product will have over these competitors is the fact that it has a unique feature accompanied by strong branding and marketing to create the needed awareness. The possible challenge will be the pricing set for the product since it will go at a higher price than the existing hoverboards and most of the competing products. However, the technical team of the brand will ensure that the customers’ expectations are met while at the same time ensure that the device will possess the best packaging and right timing of release to ensure that the buyers will never feel the burden of the purchasing price. With social media marketing adopted as the means of enhancing brand awareness, penetration of the product in the competitive market will remain to be inevitable. The discovery of the wheel created a path for what we see today as automobiles. It was during the 20th century that bicycles and motorbikes came into being. Through the invention, we went ahead seeing the development of cars. The cumbersome nature of these machines and the strict regulations that have been placed on their usage created a need for the development of more flexible and easy to use machines and that is why we ended up with skateboards and scooters that were operated manually. Technology developments led to electronically driven scooters and skateboards. At the same time, the hovercraft was developed as alternative vessels for water transport. However, these are only limited to the water bodies. Recently, wheel operated hoverboards ended up taking up the market by storm as they have provided not only a transportation solution but also a form of entertainment at the same time (McCluskey, 2016). All existing hoverboards are electronically operated and have wheels. However, the Hendo Hoverboard will have the capacity to move without wheels, and this is a depiction of the growth in technology. The biggest reality that most people have been unable to cope with is the fact that this product will not have wheels but rather hover over the air by the help of a strong magnetic field below the actual board. To most people, the project has been a hoax. In ensuring that people end up being fully aware of the technology, Arx Pax has been keen to allow public investors into the project and also partaking in institution activities with the aim of spreading the technology utilized in the making of the Hendo Hoverboard (Allain, 2014). The Hoverboard industry is a booming sector worth the consideration of any serious investor. The demand for these devices has been increasing since 2014 owing to the increased demand by the youths who are the majority in population (Hajkowicz, 2015). By 2025, these gadgets will have replaced bicycles, scooters, and skateboards. However, the legal safety requirements for the manufacture, usage, and shipping of these devices has led to many producers to reduce their production and remodel their products to meet the safety requirements. The market is a mix-up of many people with different intentions as far as the product is of concern. The expectation of the market is that the product matches up the features of the existing hoverboards while at the same time providing an avenue that will allow for the integration of the stipulated safety measures that have been set for the use of these gadgets but the federal governments (Lieswyn, Fowler, Koorey, Wilk & Crimp, 2017). Cost plus pricing is the means of setting up the values of the commodities. By this, the product will end up being among the leading items as far as expensive is the terminology. Because they form the center stage of the product, they will be part and parcel of the product development. Attaining this will be through allowing those interested in the technology to take part. More so, it is those in the major cities that will first be considered as the target market. The business will however benefit from the black population within the cities. They are the leading utilizers of these devices. The physics behind the Hendo Hoverboard may not be that interesting to most of the users who will only be in for it just for the swift nice ride. However, most people especially parents buying the device for their children will want to know how the device levitates itself off the ground. Simply, the Hendo Hoverboard unlike other hoverboards, it has four hover discs that create a field of opposing magnetic fields on a current carrying conductor. As a result, an uplift force is created (Allain, 2014). It is this unique feature that will make the product extremely unique from the other products that are available in the market. Whereas the other hoverboards have wheels for motion purposes, this one will just need one to balance the board using their body weight and that all. Pax Arx has a reputation of hover design from the previous products that have been having received a great acceptability by the market.. The product will be experiencing a form of indirect competition because most of the products are not the same to it but end up serving the same purpose. The electric scooter appears to be one of the major competitors to the product. One thing that makes this item mostly sort out for is regarding how cheap it is compared to the existing wheeled hoverboards. More so, the ease to use especially among the young targeted customers is another thing worth worrying. With increased demand of motor vehicle services especially in major cities, it is easy for one to go for the scooter compared to the Hendo Hoverboard since scooters have already been tested and accepted in the market. It is has become much easier for electric scooters to comply with the set safety regulations. As a result, there is a 35% market assurance. Hovercraft also pose a big threat to the users especially those going for them for leisure purposes. Compared to the Hendo Hoverboards, this machine operates in water meaning that it will not have to go through the stress of congestion experienced on the roads. The cutting edge that Hendo will have over it, however, is that it is only restricted to water use. Additionally, Hovercrafts are more expensive and will only serve people having large incomes at their disposal for leisure activities. Using them also requires extensive approval from the authorities for safety purposes. Electronic skateboards are the main competitors taking about 47% of the current market (Sidhu, 2015). Despite skateboards being old, their revolution has made it users revolve around it. In as much as hover cars will be a threat, that will not be in the coming 10 years since they are expected to take up our roads by 2035 and at their peak, they will be in control of 55% of the market share (Sindhu, 2015). Hendo will have to be revolutionized after every 3 years to catch up with this future competition. The product comes at a time when the government has invested more in technology and creating platforms that allow young innovators to put in their know how towards the good of the nation. The education policies laid down in the past governments had emphasized science and technology, and as a result, labor required for the development of the product appears to be readily available. However, corporate taxation is a challenge because double taxation and progressive taxation is still applicable. However, the issues of technology embracing is one thing that notable features have been using as part of their campaign tool. As a result, there will be an assurance that the government will play soft into accepting these devices in the market. In as much as the economy cannot be said to be that stable comparatively, the increased middle-income earners, who for the targeted market, is something that is of an advantage to the product. Between 2014 and 2016, the middle-class income has risen by 1.37% something that means the average household earns about $145,000 to $165,000 (Saez & Zucman, 2014). This means that the purchasing power of the market has increased assuring more sales. However, the cost of production will not be easy to cope with citing an increased cost of power and raw materials not forgetting the labor issues. By this therefore, the final product may seek to call for high prices so as to meet the cost of production. The desire of technology among the youth in all aspect of their leisure activities is something that has driven the project into a multi-billion-dollar idea. Over the recent years, the culture of technology adopting is mainly among the youth, and as a result, the Hendo Hover board is something that most of them will want to associate themselves with. Additionally, these devises make a user have some sense of social recognition among their peers and this boosts their esteem and by this, it becomes easier to sell to more people among a common age bracket. Projected growth in population among the youths by 2.3% in the next four years makes the potential customers to increase meaning that the demand will also be high as time goes by (Hajkowicz, 2015). At the current moment, the digital revolution is what drives most of the largest corporations globally. Arx Pax Lab Inc. is one of these corporations and intends to take the market expectations as its advantage by coming up with something that most of the people have never imagined that it can be possible. Many people want to be associated with the project, and that is why the Hendo Hoverboard has never fallen short of finances. More so, there is a need to shift form the knowing wheel boards to something different, and Hendo provides this solution. The Hendo Hoverboard is a perfect transport device that environmentalists have been advocating for. The electric powered battery is a safe energy that will not have any negative energy on the environment. Additionally, once adopted by many people who are going for short errands, traffic will be eased by at least 15%, and this will again decrease pollution. The worrying bit of it all is the aspect of e-waste. The globe is struggling with handling this waste and the product will bring about the same problem too. The best way of dealing with it however, is through designing a recycling system for all the waste. The product is in a fix when it comes to legality issues. There is the worry of safety that has made most governments have an issues with these devises. In 2015, most state governments led a mass action regarding the use of hoverboards especially in big cities due to safety reasons. There are those whose battery caught fire while increased cases of accidents among users created a concern. As a result, companies were forced to call back their merchandise. State governments in Philadelphia and California created an age limit of the users and a must for safety gears (Lieswyn, Fowler, Koorey, Wilke & Crimp, 2017). All these requirements make it more costly for the brand to hit the market as many people may still have the negativity associated with prior products. The project is heavily financed not only by the company but also by the general public that has a belief in what the brand stands for. By this, the production, shipping and eventually promotion will be a smooth transition. The fact that Arx Pax is not just limited to the hover project, there are many other different project that will help in financing the main project in the event that additional cost beyond the set budget are incurred. Additionally, there is a readily available market consisting of individuals who were exposed to previous hoverboards but have ended up becoming scarce in the market. With such scarcity, Hendo will sure get a market ready for it. The industry under which Hendo operates on is a free industry. The fact that the technology used in the making of the product is public, many people may end up copying the technology and make their improvements. Additionally, a lot of finances will be required to convince the market about the reality of the product’s operation and also safety. More so, once a wrong marketing strategy has been adopted, there will be a challenge in meeting the marketing needs and eventually, the expected sales will not be met. The brand can be able to expand to markets beyond the states since there is yet nothing like that in any market globally. Additionally, Hendo is an open project meaning that many different and more unique products can be made out of the same idea. That is, upon the releasing of the Hendo Hoverboard, the brand can opt to venture into other different projects related to 6the current one as a means of maintaining the brand relevance and also meeting the needs of the market. The main challenge that comes with this product is the lack of approval by the federal laws. The issue of safety of hoverboards has been a major concern among many state governments. There are those that have placed a total ban on the devices. As a result, the future may see a total ban of the product in the targeted market countries meaning that the market will be barred based on the legal measures. The segmentation of the targeted customers is based on geographical location, occupation, age, gender and income states. The Hendo Hoverboard, despite being devised to operate in any place, it will best suit city dwellers especially those from highly populated areas. Cities of New York, Chicago, Texas, Los Angeles, Houston, and Philadelphia are the leading areas targeted by the brand. The increased population has led to congestions on the roads, and that is why most of the people will prefer seeking the alternative provided by Hendo. 75% the buyers are not going to be the end users but will be guardians and parents purchasing the gadget for the kids back at home. 85% will be purchasing it as a present for their children for recreational purposes while about 12% will be purchasing them for their kids for the sake of easing their transportation. It should be noted that only guardians in engineering professions, technology related jobs or the entertainment industry. These fields of profession are known to expose the induvial about the existence of the product. For these individuals to manage to purchase such a costing device for their kids back home, they need to have a disposable income after catering for their basic and secondary needs, and therefore most will have an income ranging between $100k and $150k. For an individual to be that ready to accept a new invention, the guardians must be between the age of 45 and 55 years. Any person less than that will have a saving mentality and hence going for such will be a difficult choice to make. Parents older than 55 years of age tend towards being the laggards when it comes to adoption of any new technology (Kucuk, 2016). Also, the children that are going to benefit from these gifts will have to be aged between 13 and 18 years. Children younger than thirteen years may be deemed to be less safe to hover on these gadgets. Most of the users will be males taking up over 65% of the total users. The product targets all the youths, mainly boys, from the age of 13 to 24 years hoping to have the best hovering experience. Most are those dwelling in major cities and have the have parents or guardians at the middle-class level with the ability to afford this luxury. In totality, the product is mostly designed for the African American population mostly who are heavily associated with trend adoption in the first stages of the project. The only Hoverboard technology company that develops wheel fewer hoverboards that can move without being in contact with the ground for all hovers desiring to taste a new technology. To build a better future for generations to come with the patented SAFE Foundation System in areas subject to floods, earthquakes and rising sea levels (Arx Pax, 2017). Leading by example, Greg and the Arx Pax team will demonstrate the next level of sustainability, and a better way to build for People, Property and the Planet (Arx Pax, 2017). 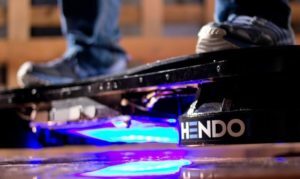 The Hendo Hoverboard is a unique masterpiece utilizing a self-drifting mechanism that allows it to uplift itself using electromagnetic waves. It is of the best quality to guarantee the safety and comfort of the user. Additionally, it has a unique, stylish finishing of a vintage outlook with specialized graffiti. The second set of the product will be custom made as far as the finishing is of concern. By this, it will be possible for one to have additional features such as Bluetooth music aid and also audio stereo can be added. A one full year warranty is guaranteed to all the users. The price of the product will be slightly higher than that of the usual hoverboards owing to the aesthetic features, quality and uniqueness of the item. The first 100 buyers will benefit from a 25% discount as a way of attracting first buyers. Payment will be undertaken electronically upon delivery for those ordering online. There will be online websites where people can be able to view the product and sub-sequentially place their orders. Those intending to purchase from local stores can pay either by cash or electronically using credit cards. There will be only two selling channels through which the customers will access the product. There will be a direct ordering process from the production house, that is, Arx Pax Labs Inc. and also through local stores especially in the major cities that are far from the production house. Those ordering direct from the stores will have their items delivered to local stores closer to them or directly at their places. Social media will be the leading brand awareness. A twitter handle for the commodity with the hashtag of Hendo_Release will be set to trend by inviting notable individuals to retweet. Additionally, there will be a website for the brand that upon gaining access, one will be able to see a 1-minute video about the product that is, the technology behind it and also the making. Customers that will refer their colleagues to the brand will also be rewarded by having a chance of purchasing their second product at a 45% discount for every 15 successful referrals. The Hendo Hoverboard has been an idea searched for over the past three years. The scientists have undertaken the best possible intensified research to ensure that the product released of the best quality. More so, the release of the product will not be a stop since many other different and improved versions will be coming after that. The team of professionals that sat for the realization of the idea is well qualified with a spotless track record while at Arx Pax. There will be a 24-hour service line for orders and product quarries. As a safety precaution, individuals will have to go through a 30-minute video sent to their emails regarding the safest way to use the device. After, one will have to answer six random questions before being eligible to collect their product. The online ordering system has been very smooth and effective as commended by all the users. Arx Pax Labs has a tradition of undertaking all its services online, and that is why the success of this online expedition is guaranteed. Additionally, the brand has been having a perfect track record as far as its products are of concern and therefore the Hendo Hoverboard will be among these products with no failures expected. The release date of the Hendo Hoverboard should coincide with the December winter holidays. Most people will be free from their jobs and schools, and their hence the adverts will have a large viewing and also be a season of buying gifts, people will have an option. With the aggressive competition, it will be ideal that the Arx Pax Labs keeps on making tremendous improvements of the first version. To enhance the safety and approval of the product by the local authorities, the management should bring them into the board towards attaining the safety intended. Allain, R. (2014). The Physics of the Hendo Hoverboard. Wired, Oct, 24, 5. Hajkowicz, S. (2015). Global megatrends: seven patterns of change shaping our future. CSIRO PUBLISHING. Kucuk, S. U. (2016). Consumerism in the digital age. Journal of Consumer Affairs, 50(3), 515-538. Lieswyn, J., Fowler, M., Koorey, G., Wilke, A., & Crimp, S. (2017). Regulations and safety for electric bicycles and other low-powered vehicles July 2017. McCluskey, B. (2016). A smoother ride [mobility as a service]. Engineering & Technology, 11(9), 36-41. Saeed, B., & Gratton, G. B. (2010). An evaluation of the historical issues associated with achieving non-helicopter V/STOL capability and the search for the flying car. The Aeronautical Journal, 114(1152), 91-102. Saez, E., & Zucman, G. (2014). The distribution of US wealth, capital income and returns since 1913. University of California, Berkeley, unpublished slides available at http://gabriel-zucman. eu/files/SaezZucman2014Slides. pdf. Sidhu, I. (2015). The Digital Revolution: How Connected Digital Innovations are Transforming Your Industry, Company & Career. FT Press. Sigala, M. (2002). Modelling e-marketing strategies: Internet presence and exploitation of Greek Hotels. Journal of Travel & Tourism Marketing, 11(2-3), 83-103.